Here's the seafood dish I promised I'd share with you. I prepared it wih the balsamic marinated eggplants. I marinated seabass in the same dressing as the eggplants, with cocoa, quality balsamic vinegar and soy sauce. Seabass is such a delicate and exquisite fish. The idea is to pan-sear it first to form an outer crust and complete cooking it in the oven so the inside remains ultra moist. Even though I live in a 9-person household, over the years baby Aria and I have become the only "omnivores". I don't know if her taste buds will change over time and she'll copy her father's vegetarian diet, but for now, Aria enjoys meat and seafood. Last evening, I prepared a typical Vietnamese meal for ourselves called "cá hồi kho nước dừa", which roughly translates to "braised salmon simmered in coconut water". As a cook and especially as a mom, I took such pleasure in watching her appreciate the meal I had prepared for her. 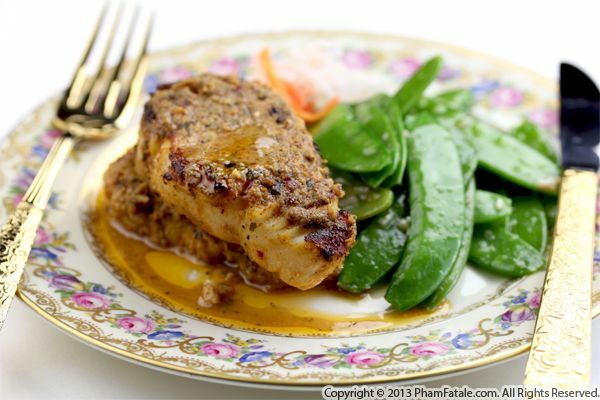 The fish is cooked in a caramel sauce called "nước màu" ("colored water"), which is a "savory" sauce made of caramel where the boiling point of sugar was reached to add a brown color and to impart a slightly bitter aroma. The sauce is balanced with spicy, fresh red Thai chili peppers, ginger, nước mắm (fish sauce), whole mint leaves and green onions. 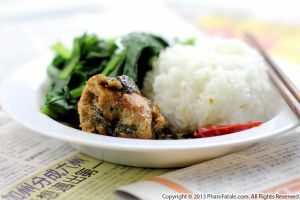 My favorite way to serve this "cá kho" dish is with steamed jasmine rice and blanched Vietnamese leafy greens. It's a healthy, nutritious and complete meal. Baby Aria loved it and I'm sure you will, too. If you'd like to start with a more inexpensive fish, you could prepare the same dish with catfish or mackerel. We hosted a 5-course formal dinner last night, and for the main entree, I served a duo of filet mignon and pan-seared seabass. I previously marinated the sea bass in a combination of miso paste, lime juice, cumin, cayenne pepper and turmeric. Seabass is such a delicate and exquisite fish that you don't need to do anything extra. Just make sure to form an outer crust while pan-searing the fish and complete the cooking in the oven. It's as simple as that! This is my go-to method for cooking white fish fillets during the winter. I prepared a spicy marinade, then placed the fish fillets in sealable bags and poured the marinade over the fish. I let the flavors infuse into the fish for a a few minutes, then baked it until cooked and opaque. 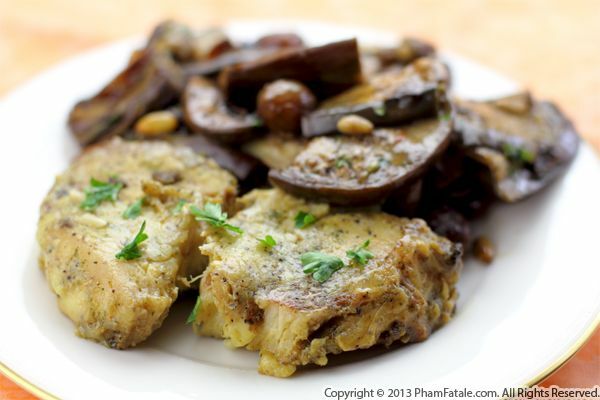 The recipe works well with any sort of white fish such as tilapia, cod, haddock or halibut. 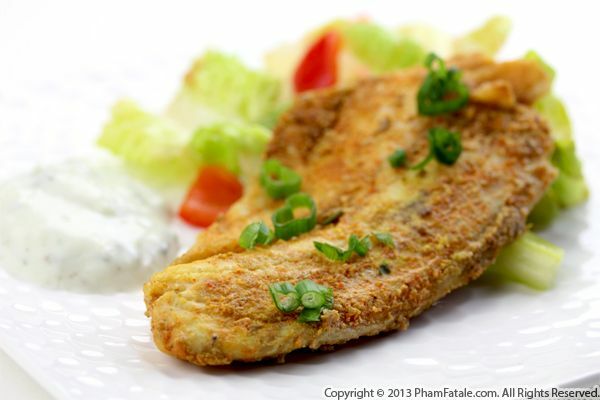 I used tilapia that I served with raita (minty yogurt sauce) and a fresh salad. 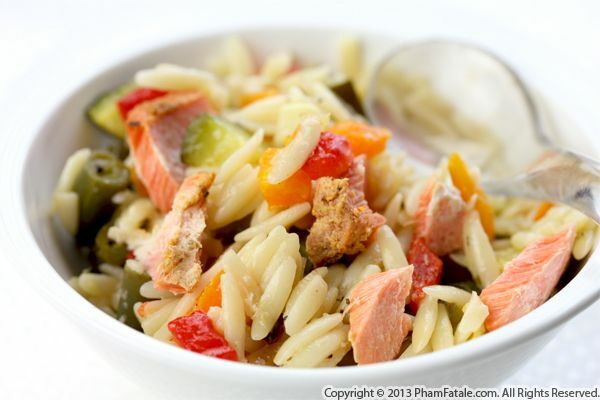 Today, I prepared a salmon orzo pasta salad. The dish is fairly simple. I broke baked salmon into large pieces and combined them with orzo pasta and a variety of vegetables such as zucchini, corn, roasted bell peppers and string beans. Baby Aria has a good appetite and given that she's more of a toddler now, she’s able to eat whatever we eat. She's becoming independent and discovers the textures, colors and tastes of new foods every day, especially since she's able to pick up food with a spoon and eat by herself. With dishes like this one, feeding kids nutrient-rich, colorful foods couldn't be easier! Page 12 of 13 pages.